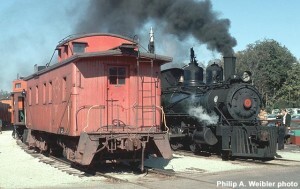 LS&I caboose (originally C&NW caboose). Oct. 1970. Philip A. Weibler photo. Sister #12104 at Weber, IL, July 11, 1953. Paul Swanson collection. 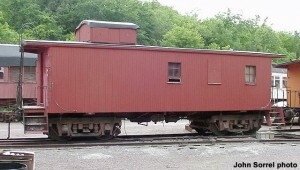 This classic C&NW cupola caboose represents the standard 30-foot design used by the North Western for many years. Before 1913, records of C&NW caboose construction are vague. There were two series of numberings (1501 to 2223, odd and even; and 4800 to 4998, even only) with no builder data, however all were built to the same dimensions with a wooden underframe. Several of these cars were later rebuilt with steel underframes and renumbered into several series ranging from numbers 11400 to 12488. #12476 is believed to have been originally numbered #1714, which would date it to built prior to 1913. C&NW is known to have built thirty-eight more cabooses at its Chicago Shops in 1913. American Car & Foundry built another 169 cabooses to the same design in four separate lots in 1915, 1917, 1921, and 1928. All the C&NW and AC&F cars featured a steel underframe or center sill. Cars built before 1921 featured standard 5-foot wheelbase passenger-style wooden trucks. The 1921 and 1928 lots were built with steel Andrews or Barber style trucks and were known for their rougher ride, and consequently were not used in road service assignments. In later years, C&NW numbered its wooden cabooses only in even numbers, as the then-current practice was for open top rolling stock to use odd numbers and closed rolling stock to use even numbers. Over the years, the cars received modifications. End windows and cupola marker lamps were removed after 1916. Parsons Train Indicators (a glass window on the front and back of the cupola that contained changeable numbers on metal plates resembling stencils to show train numbers) were removed in 1935. By about WWII, cupola windows were boarded over as train crews no longer were using cupolas to inspect their trains. The increased size of cars blocked the view from the cupola; it was more practical to look over the train by leaning out a side window (hence the concept of a bay window caboose). From 1926 until 1937, C&NW’s Chicago Shops rebuilt 438 cabooses (including pre-1913 built 30-foot cars, identifiable with trussrods). At this time, the cars were renumbered in the 11500-12488 (even only) series. 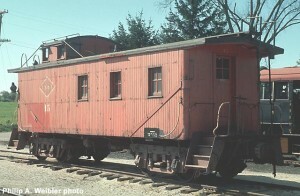 In 1941, C&NW adopted a new paint scheme for its caboose fleet: bright vermillion red. #12476 made its trip through C&NW’s Chicago shops late in the rebuild program, emerging on September 22, 1937. It received a steel underframe at this time. On October 5, 1957, #12476 was sold to the Lake Superior & Ishpeming Railroad at Marquette, Michigan. 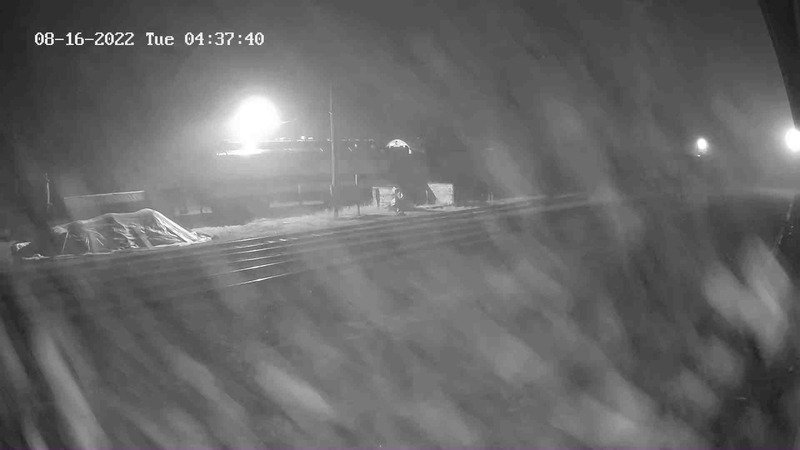 While in service there, it received diagonal steel braces at each corner of the carbody, and tie-rod braces on the cupola to help strengthen the car for heavy iron ore train use. In 1970, #12476 was sold to a private individual and moved to North Freedom in July of that year. It is presently under restoration by its current owners and is used for bunk facilities.